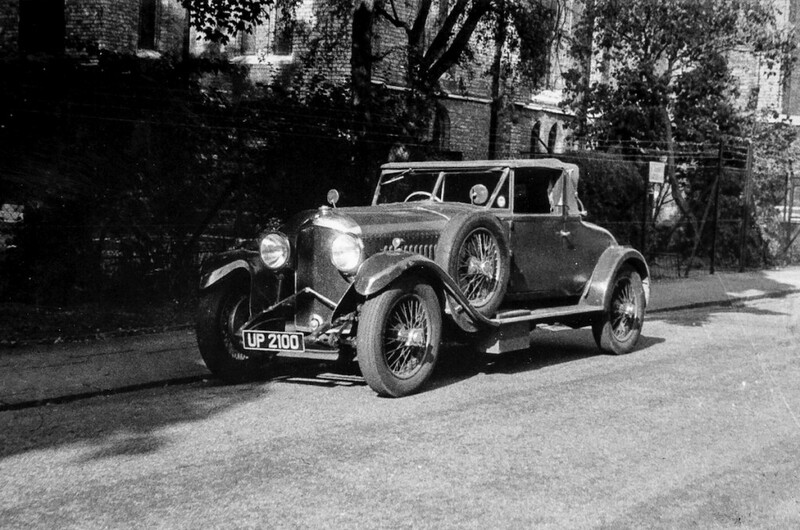 This Bentley 4.5-Litre Victor Broom Drophead is one of the most memorable cars I’ve ever worked on, simply because of how unusual the preservation process was for us. It was originally built in 1928 but the really interesting part of the story begins in 1962 when it was purchased by English teacher, Stuart Wallace, for £280. Quickly realising he couldn’t afford to run the car he began to strip and restore it, but never managed to finish the job. When Mr. Wallace passed away his daughter called us to tell us her father’s vintage Bentley was in pieces spread throughout the house. She wasn’t exaggerating either – when I arrived there was an engine block in the entrance hall, a clutch on the stairs and parts even in the garden. A treasure hunt ensued, tracking down headlights under the bed and plenty of other unusual hiding places before we were happy we had found all of the pieces. It was then down to our team to preserve the car, but we wanted to keep it as original as possible. The original engine lead sill is still in place from new. Not a single nut or bolt on the car is new, but we did have to add a few new wooden supports to the body for strengthening. It’ll be a real pleasure to see this car again at Hampton Court Palace in September. Only 8 examples were ever produced, and this car’s incredible originality and back story makes it very special.